More than 30 leaders and gang members of the West Side Imperial Insane Vice Lords were arrested in a pre-dawn raid by state and local law enforcement agents. The 71-page federal indictment charges gang members with murder, attempted murder and drug trafficking dating back to 1996. It details the gangs operation of several "open drug markets" that sold heroin and cocaine throughout Chicago and other regional areas. The reputed "king" of the Imperial Insane Vice Lords, Nathaniel Hoskins, 45, was arrested at O'Hare International Airport Tuesday morning while he was attempting to board a flight to Las Vegas. He is one of 10 defendants charged with federal racketeering conspiracy charges for his role in running the drug operations. The federal indictment was the result of the Chicago Strike Force -- an elite group of Chicago Police Officers, Federal Agents from multiple agencies including the Drug Enforcement Administration, Homeland Security and several suburban police agencies. The location of the Strike Force is in a highly secured building that NBC5 Investigates agreed not to disclose. "It's because they do counter surveillance," Chicago Police Superintendent Garry McCarthy said when asked about the secret location. "On our Chicago police location we have caught them filming our cars and doing counter surveillance one us." The Chicago strike force brings together hundreds of federal agents from multiple agencies who work together on coordinated cases. 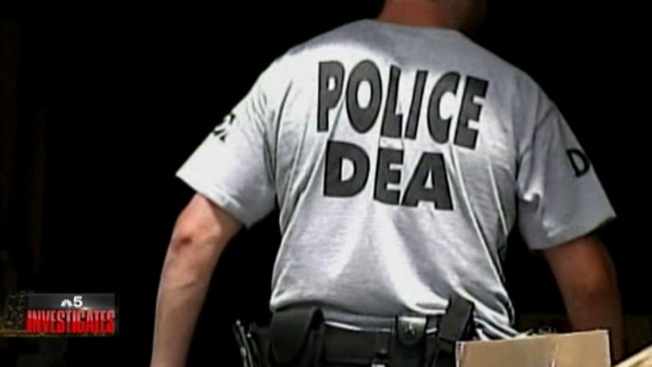 "I'm a federal agent but I don't think I have ever worked a case that was worth its weight that didn't start with local law enforcement doing something," said Jack Riley, Special Agent-in-Charge of the Chicago Field Division of the Drug Enforcement Administration. The strike force uses high-tech cameras and old fashioned police work to see where dealers go and who they meet. The agents look for what they call the "choke point" where Mexican Cartels deliver drugs to Chicago gangs. "They are looking for cars. They are for looking complaints, they are looking for girlfriends, because it's important to know where these guys lay their heads," added McCarthy.